If your debts are not primarily consumer debts then you are exempt from the means test. You are also exempt from the means test if you are a disabled veteran and incurred your debts primarily while serving on active duty or performing a homeland defense activity. 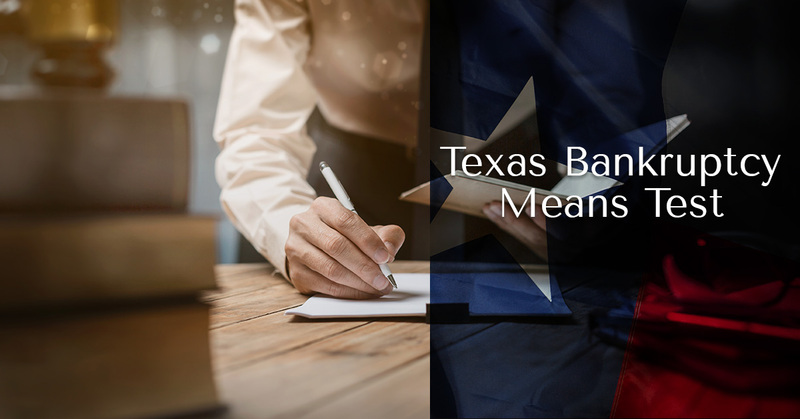 If your current monthly household income is less than the Texas median income for a household of your size there is a presumption that you pass the means test and are eligible to file a Chapter 7 bankruptcy. If your income is over the Texas median income for a household your size then you must complete the means test by calculating your income and expense information. You must collect some of the information needed to complete the calculation, such as your current monthly income, from your own personal records including pay stubs and bank records. Income includes almost all of sources of income you may have including, but not limited to, business income, rental income, interest and dividends, pensions and retirements plan payments, amounts paid by others for your household expenses, and unemployment income. 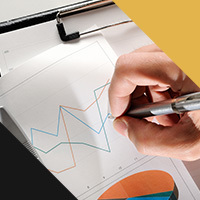 Much of the information related to your expenses is based on national, Texas, and local averages and standards and comes from the Census Bureau and the Internal Revenue Service. There are some expenses you are allowed to include such as obligations you are legally required to pay such as child support and expenses necessary for health and welfare. After you have collected all the required information, you will subtract all of your allowed expenses for Texas from your income to determine the amount of income under the bankruptcy law that you have available to pay your unsecured creditors in a Chapter 13 bankruptcy plan. If your total monthly income over the course of the next 60 months is less than $7,475 then you pass the means test and you may file a Chapter 7 bankruptcy. If it is over $12,475 then you fail the means test and don’t have the option of filing Chapter 7 bankruptcy. If your disposable income under the means test is between $7,475 and $12,475 then you must do further calculations to determine if you have the option of filing a Chapter 7 case. Keep in mind that just because you can file a Chapter 7 bankruptcy, does not mean that it is in your best interest. Generally, a Chapter 7 bankruptcy is a better option if you are not attempting to keep secured property like home with a mortgage, but you should consult with an experienced bankruptcy attorney to determine your options and the best course to take. 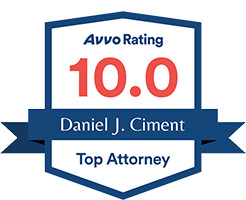 For a bankruptcy attorney in Texas, contact the Ciment Law Firm today!